Garden Plant Design’s first project of 2018. 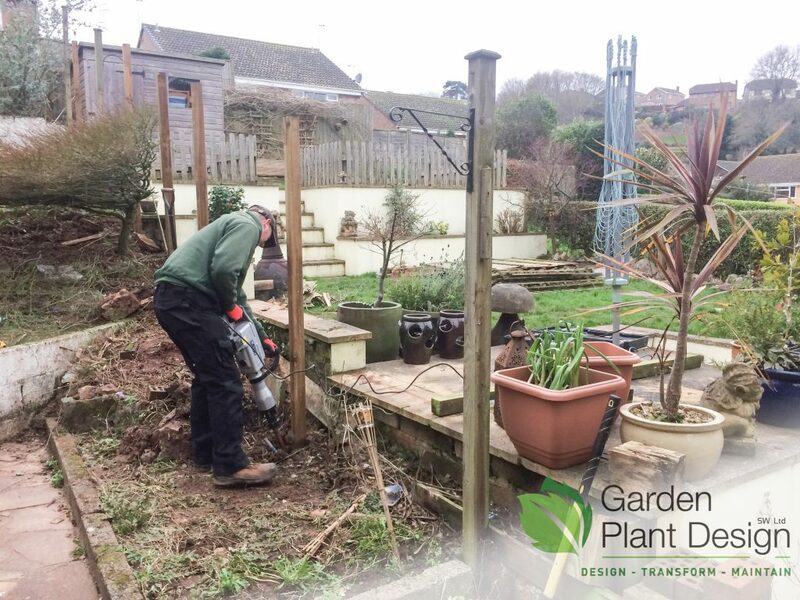 The initial contact from our clients was to construct an 18m closed board feather-edge fence that, although rotting anyway, had recently blown down in a storm. 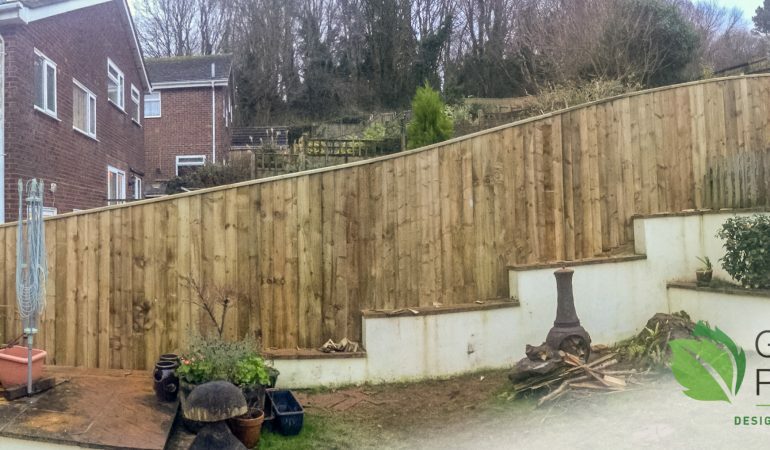 To clear existing old fence panels, posts and concrete. To construct an 18m fence from 1.8m feather-edge boards. To shape the top of the fence and add capping. Clearance: A very chilly morning. Our first task was to remove the old 3×3 posts, some of which had been replaced by a previous contractor who was trying to reuse some old panels. These were only about 450mm in the ground and the concrete was insufficient for the height of the fence. A few of them had actually snapped off so out came the breaker which soon saw them out of the ground. Posts were replaced with 4×4 treated posts and, where the ground allowed it, were concreted in at least 750mm.